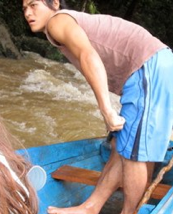 The Penan people of Borneo were once the Islands’ nomadic hunter-gatherers, stewards of the forest, possessing instinctive knowledge of plants and animals, and whose lives were constantly on the move. They travelled in family groups, stopping where the sago palm and hunting was plentiful, and moving on when the area was depleted, allowing it to regenerate. 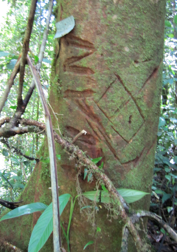 Their direction was often be decided by a sign, such as the flight of the eagle or sometimes by forest messages left by other Penan; these simple signs and messages connecting them both to other roaming families, and the forest itself. 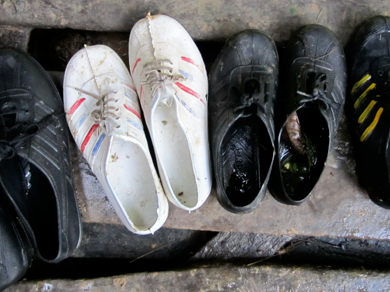 Though much has changed for the Penan in the last century, much has also stayed the same. With many now settled in villages and having converted to Christianity, the Penan’s nomadic, animistic existence is all but a memory. 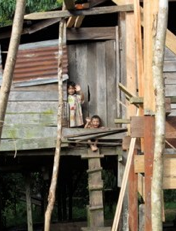 For the Penan, the forest is still their first home. Their knowledge of the jungle is expert and most still rely on the forest for daily food and medicine. 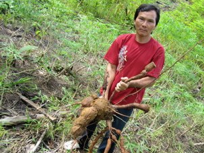 Most importantly, many of their most inspiring traditional cultural values remain and offer sane answers to the environmental problems of our time, such as their practice of sharing all things equally and their concept of molong, which attests that all forest plants and animals should be harvested responsibly.